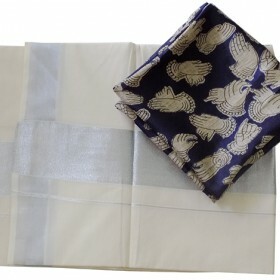 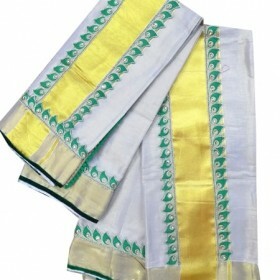 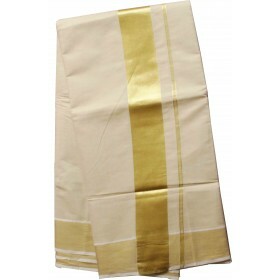 Gorgeous traditional Kuthampully silver Kasavu Saree from Kerala is a superfine Musterized cotton fa.. 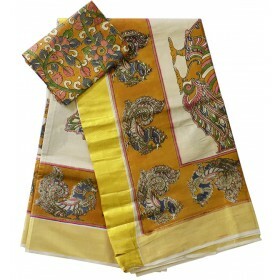 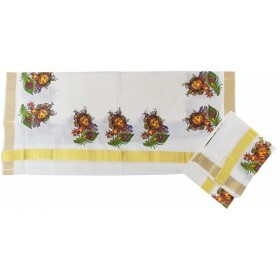 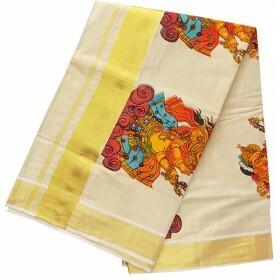 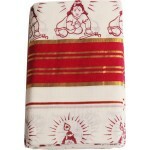 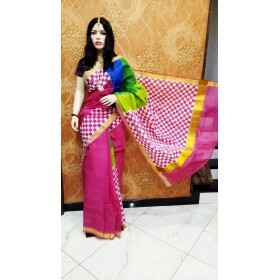 Traditional Kerala kasavu saree specially designed with big printed mural design of Krishna with aal.. 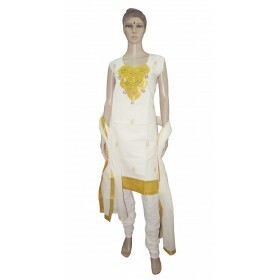 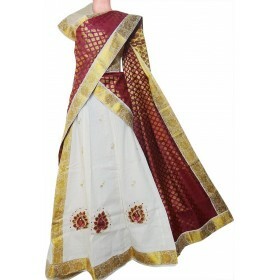 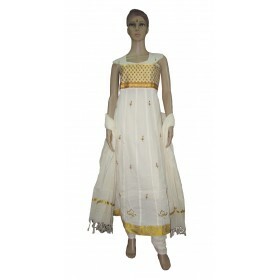 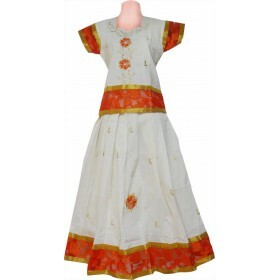 Here we comes with an elegant and traditional wear for women’s. 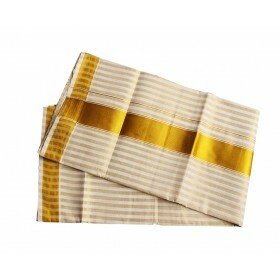 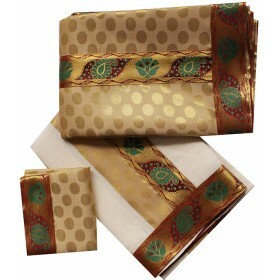 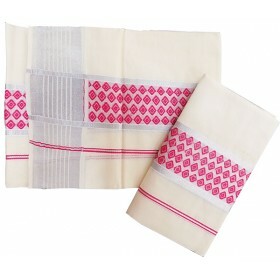 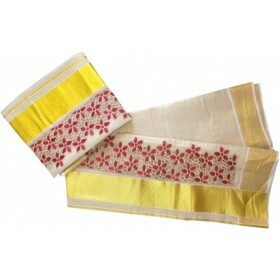 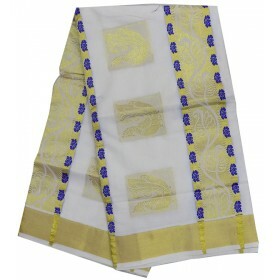 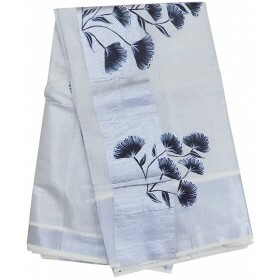 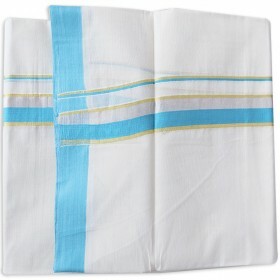 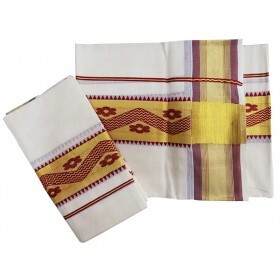 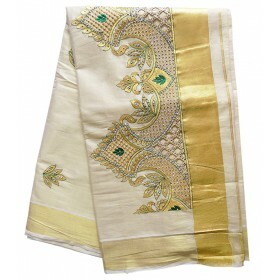 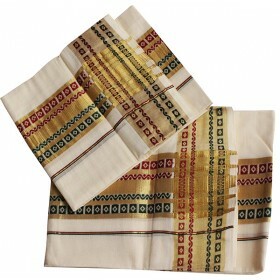 This is a tissue kasavu saree on tha.. 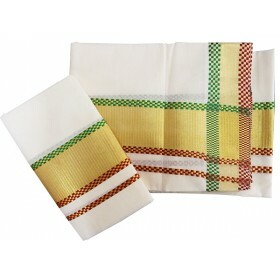 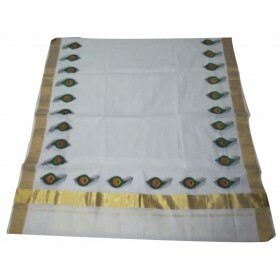 The traditional attire of a man is simple Kerala kasavu double mundu with variety border.it comes wi..
Tissue kerala kasavu settu mundu with golden rich border along with fancy lace stitched on the borde.. 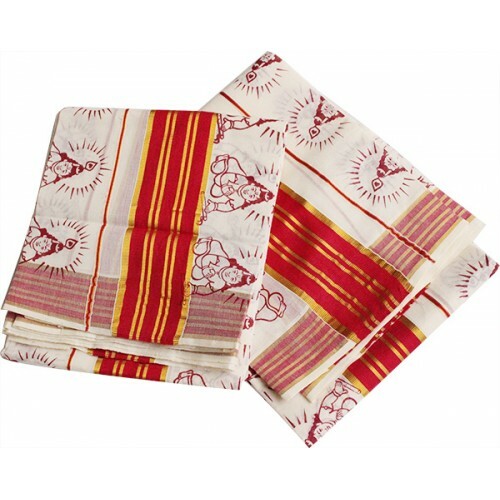 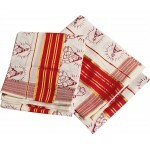 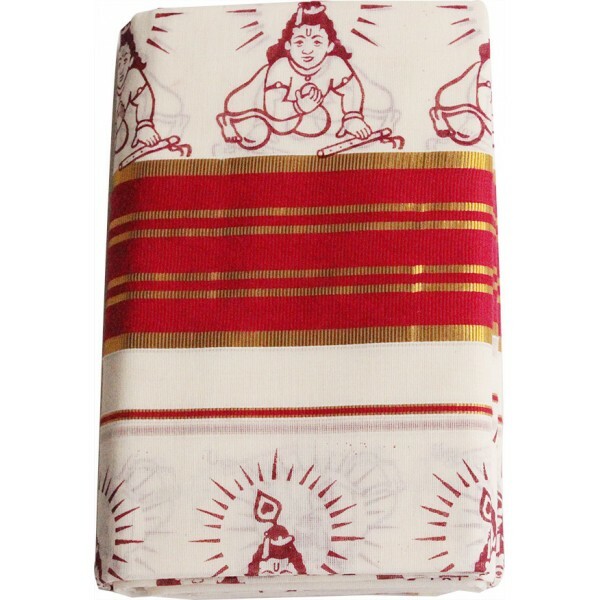 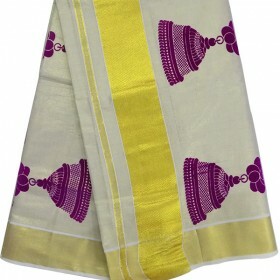 It is a beautiful maroon and gold combination little krishna print kasavu set mundu from Malabarshopping collection. 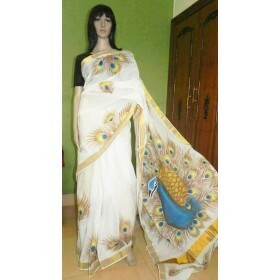 It does not have an attached blouse piece. 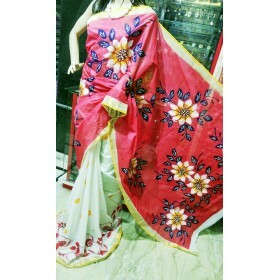 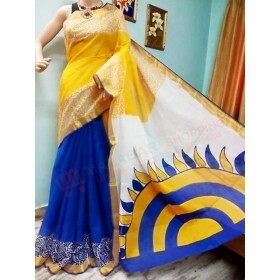 The saree is plain with a lovely pallu and border which makes it look gorgeous.